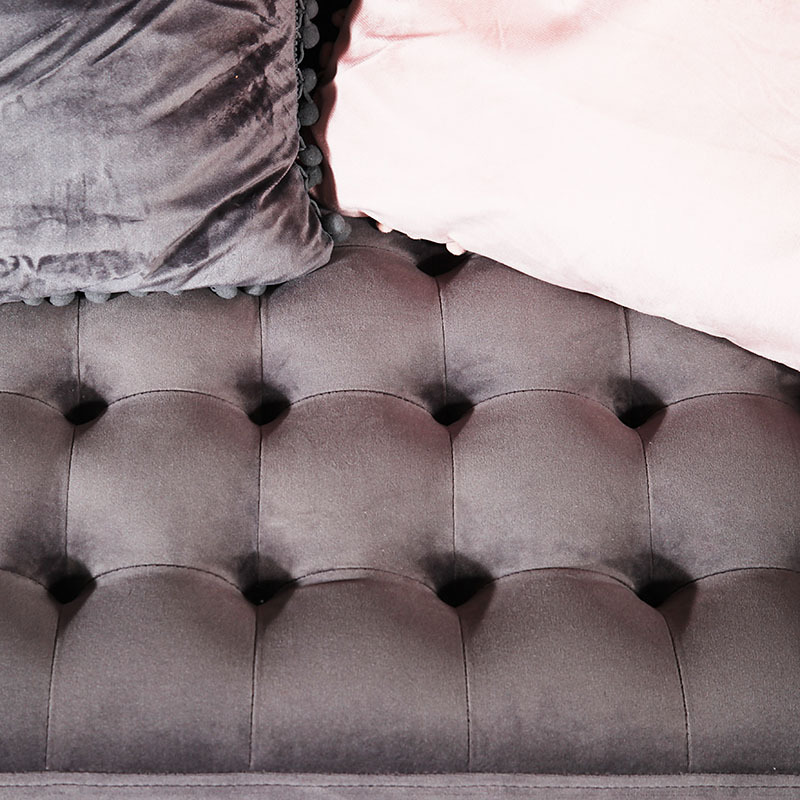 Add some extra seating to your living room, bedroom or hall way with this gorgeous Grey velvet buttoned bench. 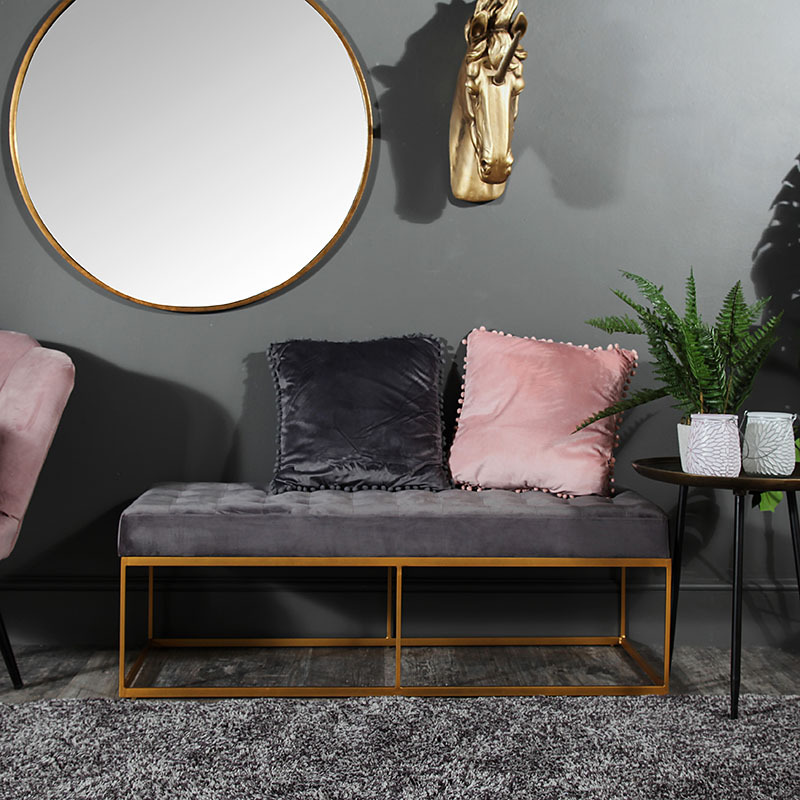 Give your modern or contemporary interior a instant look of boudoir glamour whilst adding a comfortable throne to perch on. 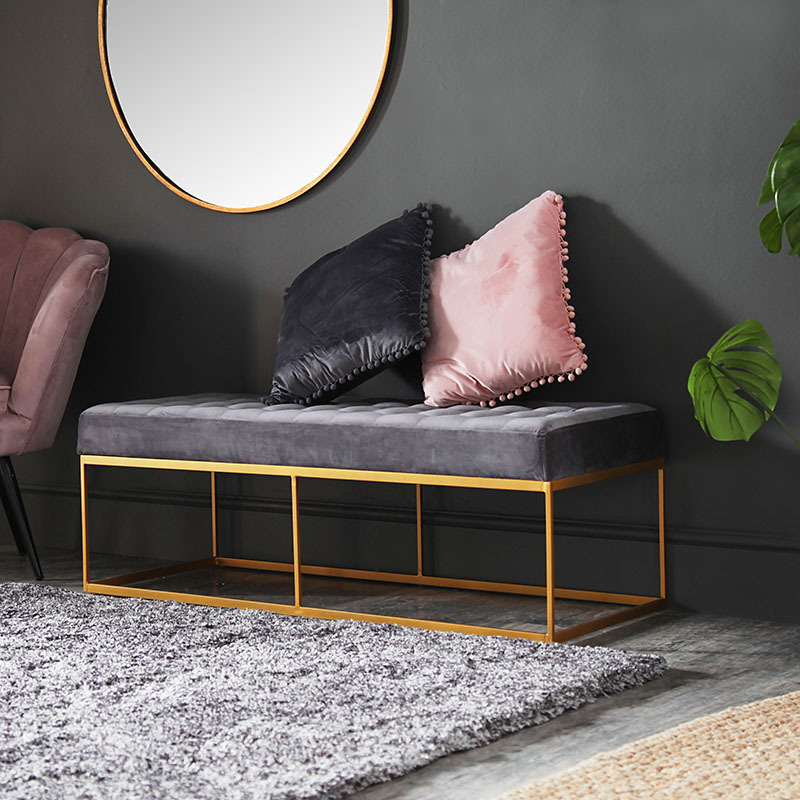 A Perfect item when your sofa simply inst big enough when entertaining guests. Practical and stylish all rolled into one. 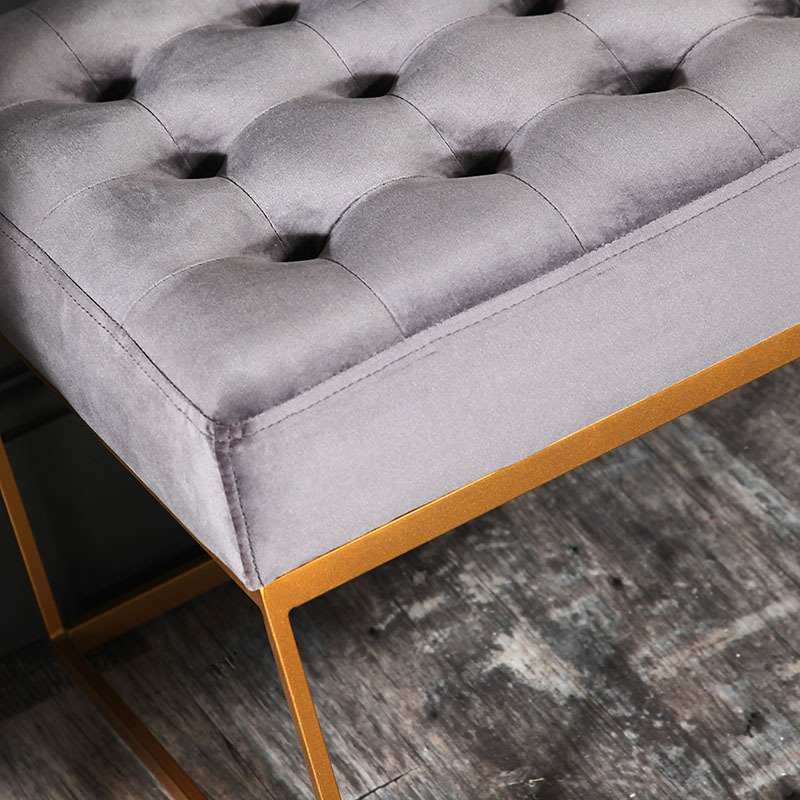 Upholstered in a grey velvet material and polished gold colour metal legs. The bench comes fully assembled. Affordable comfort and style, this is a great addition to our stunning range of sofas, chairs, stools and benches.